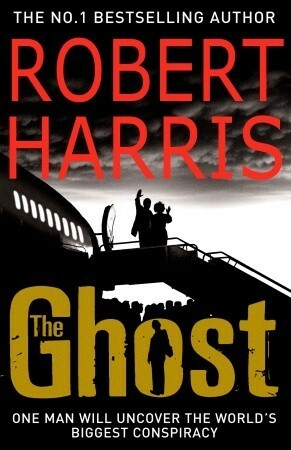 The Ghost by Robert Harris. I quoted the opening paragraph and synopsis in yesterday’s post. It’s a political thriller with an anonymous narrator who is the ‘ghost’ or rather a ghostwriter employed to write the autobiography of Adam Peter Benet Lang, recently retired prime minister of Great Britain. And he has a month to do it, or rather complete the manuscript started by his predecessor McAra, Lang’s assistant who was found dead, drowned, after falling overboard on the ferry to Martha’s Vineyard. The film, The Ghost (in the UK)/ The Ghost Writer (in the US) is an adaptation of this book, with Ewan McGregor playing the part of the unnamed ghostwriter. 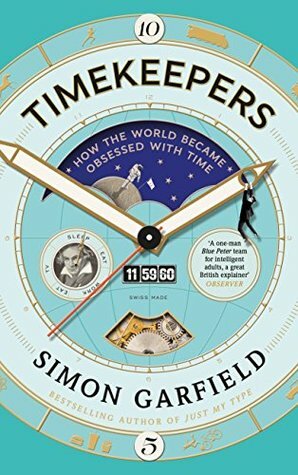 I’m also reading Timekeepers by Simon Garfield, a book of short essays on different aspects of time. It’s full of facts, but still easy reading written in an entertaining style. But so far I’m finding it ‘interesting’ rather than ‘fascinating’. Now We Shall Be Entirely Free by andrew Miller. 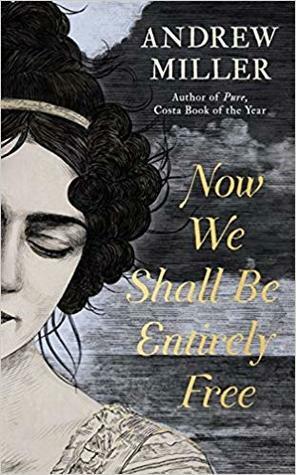 See this post for my review – historical fiction set in 1809 Captain John Lacroix, home from Britain’s disastrous campaign against Napoleon’s forces in Spain. 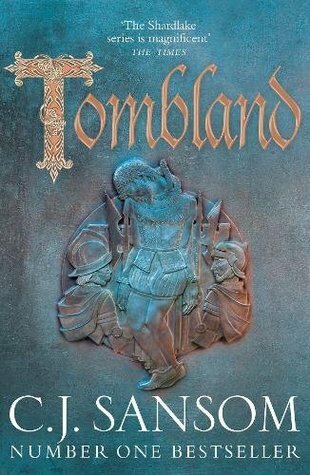 Although I have several books in mind to read next, it will most probably be Tombland by C J Sansom, which is to be published tomorrow. It’s the 7th book in his Shardlake series. The nominal king, Edward VI, is eleven years old. His uncle Edward Seymour, Lord Hertford, rules as Protector, presiding over a collapsing economy, a draining, prolonged war with Scotland and growing discontent amongst the populace as the old religion is systematically wiped out by radical Protestants. Matthew Shardlake, meanwhile, is a lawyer in the employ of Lady Elizabeth, the old King’s younger daughter. The gruesome murder of Elizabeth’s distant relative Edith Boleyn soon takes him and his assistant Nicholas Overton to Norwich where he is reunited with Overton’s predecessor Jack Barak. As another murder drags the trio into ever-more dangerous waters, Shardlake finds his loyalties tested as Barak throws in his lot with the exploding peasant rebellion and Overton finds himself prisoner in Norwich castle. In my opinion, Margaret, it’s hard to go far wrong with a good C.J. Sansom. I hope you’ll enjoy that one if you choose it. And those essays on time sound really interesting. We don’t often think of time as a concept, really, but it is. I’ll be interested in your thoughts on that one when you’ve finished. Margot, I’ve nearly finished Timekeepers and the Sansom book looks so good – I’ll be reading it very soon. Tombland sounds great! I’ve developed a bit of a love of books set in Tudor times recently, so will have to give this one a read! I’m hooked on the Shardlake books, so I’m a bit biased, but I think they’re very good. I didn’t realise it was part of a series, even better! I have Now We Shall Be Entirely Free on my wishlist and I’m pretty sure I requested it on NetGalley but didn’t get approved. I heard Diane Setterfield, author of The Thirteenth Tale, speak recently and she recommended it as well. Well, I’m not sure what superpowers you have but… I was wrong, I’d requested Now We Shall Be Entirely Free on NetGalley but not got a response. And, lo, I’ve just this minute got an approval notification! I’ve got An Officer and a Spy waiting to be read – so it’s good to know you really enjoyed it. Timekeepers does sound quite interesting. I may add it to my growing TBR pile of nonfiction I want to check out. I’m not sure I have the knowledge base for more deeply complex explorations of time, but I like to learn what I can all the same. I’ve nearly finished reading Timekeepers and will be writing about it soon – I’ll just say that whilst some of it is interesting I found some of it quite boring. You needn’t worry that you haven’t got the knowledge base for more deeply complex explorations of time as it’s not that sort of book. It is what the title says -about how people have recorded and measured time. I haven’t read The Ghost, but I have seen the movie a few years back and I remember it being pretty good! Lola, I can imagine it would make a good movie! Oooh, the new Shardlake sounds good. I must catch up with this series. Cath, I ordered the hardback edition of Tombland as I have all his other Shardlake books in hardback. It arrived yesterday – a massive 800 page tome, very heavy and cumbersome, and I imagine it’ll take me ages to read, but I’m going to start it today.